Today, with over 40 years experience, Nick and Linda Webber continue the family business offering their own unique collection of stylish upholstered lounge room furniture. 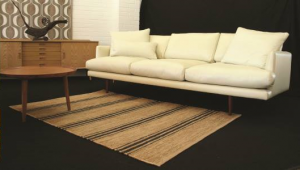 Sofa designs range from classic through to contemporary, made in Western Australia by craftsmen dedicated to quality, comfort and longevity of product. All designs are available in any fabric or leather of your choice. Webbers also offer a diverse range of dining and occasional furniture including Classic Teak, Mid-Century Oak and Teak and locally crafted Jarrah and Marri, along with an extensive selection of natural fibre rugs by Armadillo & Co.
Webbers are proud to support local manufacturers and continue to deliver a product of style, quality, comfort and durability.